You are here: Home / Book Background / Book gets launch by Jerusalem Post! The second launch, hosted by ESRA (the English Speaking Residents Association), was beneficial to both the organization and Kleinberg, and in honor of her origins and the setting of the book, ESRA decided to hold a New York-style brunch at the Carmel Bistro adjacent to the Carmel Winery in Zichron Ya’acov. The bagels were not exactly New York bagels, but the event, with some 70 people in attendance, proved to be a resounding success. 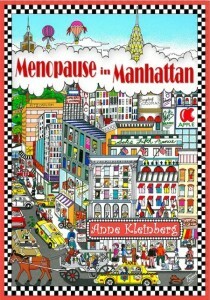 On Wednesday night, a friend, Eve Black, is hosting a book-signing party for Kleinberg. 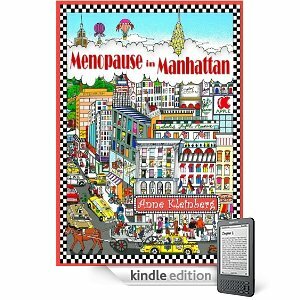 Menopause in Manhattan, which illustrates that life passes by only if you let it and that it’s never too late to follow a dream or to grab ambition by the horns, is a self-published volume – not because Kleinberg was afraid of being rejected by big name publishers, but because once she’d finished writing, she was impatient to see the product in print and very much wanted to display it at the recent Jerusalem International Book Fair. Her application was late, but the fair organizers accepted it. The US Cultural Division agreed to exhibit it on its stand, as did Israel’s premier bookseller Steimatzky, which subsequently took several copies for its stores. Better still, they’ve put in repeat orders, because the book, the cover of which was designed by world-renowned pop artist Charles Fazzino, is selling quite well. At the Boccaccio launch, Kleinberg related how the concept for the book was born, and paid special tribute to Karine Wagamakers, who edited the novel throughout its many rewrites, made suggestions about how to build up the characters, mercilessly slashed superfluous verbosity, and through it all remained a close friend. Among the friends who came to share in Kleinberg’s moment of glory were artist Sali Ariel, along with Nida Degutiene, wife of the Lithuanian ambassador; Lilla Madaras, wife of the Hungarian ambassador; Patty Willis, who has been nominated as the next president of the International Women’s Club; Naomi Furman, a past president of the IWC; Dutch author and historian Wally de Lang Lynn; George Apple; Anna-Maijia; Joe Oren; Aml Bisharat Hana; Eman Bisharat Baransi; Nimrod Litvak; Veronique Shenkar; Mary-Clare Adam, a former honorary consul for Papua New Guinea; Liliane Avidor, a US Embassy employee; Wagamakers; and Black. 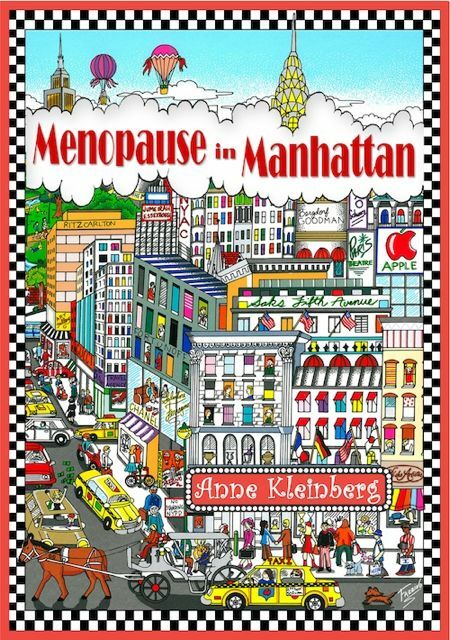 Now that she’s on a roll, Kleinberg will be back temporarily in the Big Apple next month – in quest not only of Oprah, but also of an American publisher.